Alright friends, today I'm joining a link up from a blog I love called The Lady Okie. You gotta go check out her blog. Her writing will make you laugh, a lot. Today she is hosting a one day link up called 'Never will I Ever'. You still have time to enter if you want. 1. Never have I ever drink snake blood like Dave and Ethan did. This nasty disgusting occurrence happened during a visit to Taipei, Taiwan. For starters where this happens is called 'snake alley'. It should be renamed 'run away right now or you might cry and barf alley'. This alley is filled with all kinds of creatures you can eat. We even walked by one shop cutting a live turtle, eeeek! Pita doesn't exist there, I'm sure of it. 2. Never have I ever run an ultra marathon. Seriously, don't all these runners understand how bad your body hurts after 26.2 miles? I mean, you can't walk, sit, stand, move or lay down without severe pain. Ultra? No, thanks! 3. Never have I ever live in Oklahoma. Oh wait, I live here. Ha! I seriously told myself that before I got here. Alaska and Oklahoma were the last two states I ever wanted to live in. God sure has a better plan than my own and I'm so thankful He does. If Alaska is on that list can it please be during summer? What have you never done? Is there something you have seen that just makes you cringe and say 'no way'!? Also, for more of 'never have I ever' links click on the button below. Snake blood?! No thanks, haha, I don't think I could have handled that either. Snake Alley sounds like just the kind of place I would avoid altogether! I can understand Alaska being last on your list. People say that is really beautiful, but I don't think it's necessarily the place for me, either. Oh man, I never EVER thought I'd live in Oklahoma. That's for dang sure. And here we are. Crazy, right? Also, snake blood? No thank you! I have a fear of snakes like you've never seen! I can't even really talk about it. Thanks for linking up! Snake Blood? What were all the other shots? 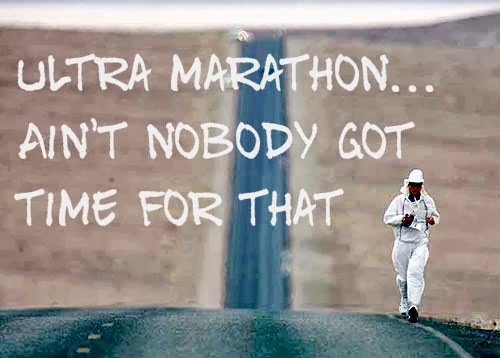 A marathon seems managable but an ultra...just no! I can only imagine the pain. Oww! OMGOsh ewwww!!! snake blood? I'm curious too what were the other shots? I don't want to ever run a marathon either! Way too painful! You've been to Taiwan? That sounds fabulous! Also, I don't think I would mind living in Alaska. Actually, I think I'd rather enjoy it. Seems...unique, to me. But I don't think I could do it forever.